Seniors can benefit greatly from social activities and maintaining healthy relationships throughout their lives. Having close friends and relatives can truly add happiness and value to your life, plus you’ll enjoy an array of health benefits, too. Studies have shown those with close relationships and active social lives have better cognitive function, are physically healthier and have lower stress levels than those without. Additionally, there are also statistics that connect longevity with having a close circle of people in your life. Being able to engage in certain activities and connect to people through common interests makes all experiences more enjoyable. Social wellness refers to the interactions between people, as well as the way people go about building new relationships and maintaining existing ones. However, sustaining current strong relationships can benefit far more aspects of your life than just your social wellness. Creating and maintaining a high level of social wellness can also help decrease feelings of isolation and loneliness while giving you a sense of community and belonging. Being active in your social life will often translate into being physically active as well. Becoming part of a group that focuses on staying active through walking, going to the gym, or simply outdoor gardening can have a multitude of emotional and physical benefits. People have seen blood pressure levels lowered, as well as a strengthened immune system, and a lowered risk for cardiovascular problems. Additionally, social engagement is also extremely beneficial for your mental health. If you are keeping your brain active with insightful conversations and learning new skills, it can lead to a decreased risk for diseases like Alzheimer’s, lower your anxiety, and reduce your risk for depression. Join a club: Find a club full of people with a similar interest can instill a sense of community and understanding. Book clubs, fitness groups or a gardening club bring together people who are excited about a certain topic and enjoy sharing experiences with one another. Participate in a charity walk: Make a team filled with friends and family and decide on a charity you’d like to walk to support. You can even make t-shirts and other spirit wear to use during the event. If some friends and family don’t want to necessarily walk, but still want to support, find a place for them to cheer on the sidelines. Frank Hall Park hosts the 2018 Walk to End Alzheimer’s in September, so don’t be afraid to attend with some loved ones and help spread awareness for an important cause in your area. Join a choir or musical group: If you have musical talent or are looking to learn something new, joining your church choir or another musical group presents a great way to hone your skills while making friends. Join a gym: Live a more active lifestyle and join a local gym with a friend or family member. If you are worried about not knowing what you’re doing, or how the equipment works, don’t worry, most gyms offer personal training and additional assistance for seniors, or even classes with seniors’ specific needs and abilities in mind. This is a great way to stay physically healthy while meeting people and building new relationships around a common interest. Thorne Crest offers a complete fitness center and wellness program with an experienced Wellness Director to help you start your program and answer any questions you may have. Volunteer: Go out into your community and find volunteer opportunities. This can be an activity that you can easily do with your friends and loved ones while helping others and charitable organizations. Plus, you’ll meet plenty of new people while you’re volunteering, too! Try out nearby locations like United Way of Freeborn County to help support the local area and offer meaningful support to those around you. 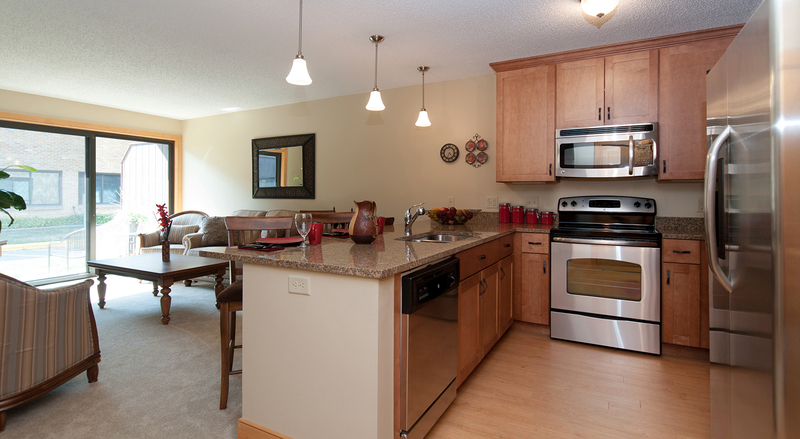 Thorne Crest is an inviting senior living community located in Albert Lea, Minnesota. There’s a multitude of choices for social engagement and different fun activities in the area that will spice up your routine. 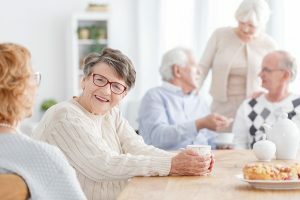 Programs focused on senior wellness and maintaining a healthy well-balanced lifestyle are priorities for the Throne Crest residents and staff. 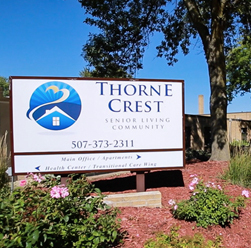 Check out the amenities and resources offered at Throne Crest, then contact us with questions or to schedule a personal tour!